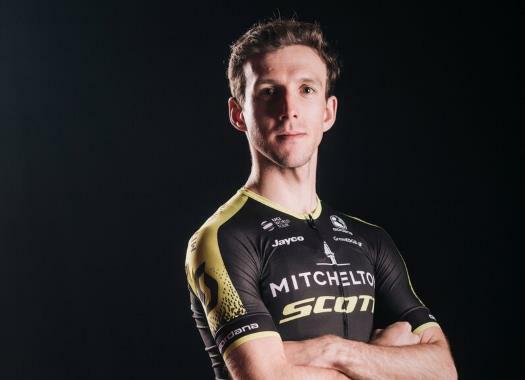 Mitchelton-Scott's Simon Yates has extended his GC lead by taking the victory of a stage in which other favourites showed their weaknesses. The rider was pleased to take this victory and thanked his teammates. "That one was actually for the guys who ran at the front all day," he commented at the end of the stage. "They've had a couple of tough days, always riding on the front on very long stages and this is for those guys." Yates was prepared for this kind of final and he hadn't ruled out taking the victory at the climb of the Gran Sasso d'Italia. "From the beginning of the stage today we thought that if we kept the breakaway close enough there might be a possibility for the stage," the Briton explained. "Once Astana also showed some interest on the stage, I thought it was possible. You never know deep in the final." The toughness of the last climb left Fabio Aru and Chris Froome behind, both losing more than a minute at the end of the day. "It was a very difficult day, it could have been a bad day (for them). I don't know. Maybe Chris is affected by the crashes," he said.